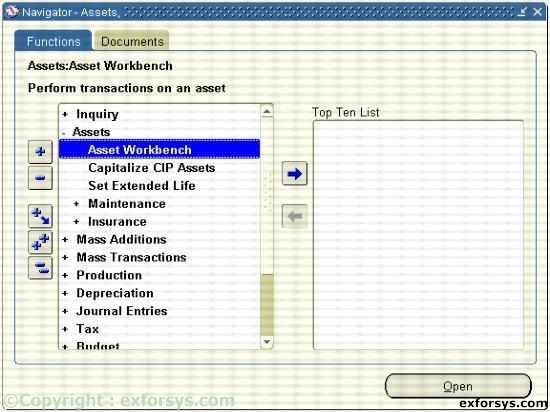 In this tutorial you will learn about Asset Adjustments – Single Asset Reclassification, Adjusting Units, Assigning Units, Adjusting Financial Information and Single Asset Transfers. You can adjust an asset by reclassifying, changing the number of units, adjusting the financial information, or performing a mass change. Figure 1. Navigating to Single Asset Reclassification. Figure 2. Single Asset Reclassification. 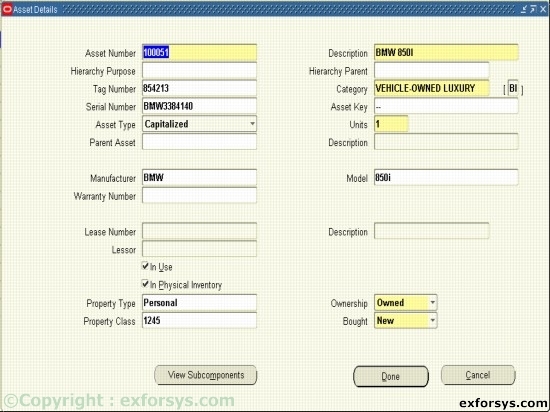 Reclassify assets to update information, correct data entry errors, or when consolidating categories. a) You can change the number of units for the asset in the Asset Details window. b) You update assignment information when you change the number of units. c) You are not retiring these units; you are adjusting the number of units to reflect the correct amount. d) When you save your work, Oracle Assets navigates to the Assignments window so you can update distribution information. a) You can update the distribution lines for the asset to reflect the new units. b) The Units to assign field displays the number of units to be distributed. c) The Units to assign field must be zero before you save your work. d) If all units remain in the original cost center, Oracle Assets does not create any journal entries. Correct an error or update financial and depreciation information for single asset or a group of assets. 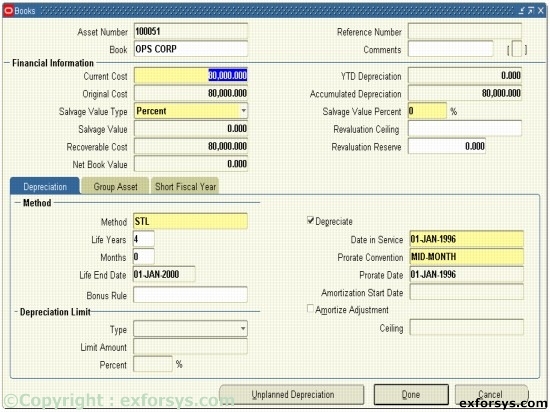 You can also override depreciation information for an asset while adding it using the Detail Additions process. Figure 3. Adjusting Financial Information. Figure 4. Create Single Asset Transfer. You can transfer assets between employees, depreciation expense accounts, and locations.